This post, a review of the last of Elena Ferrante’s novels about Naples, Italy, was first published on 16 January 2016. I read all four books in this series while I lived on the outskirts of Naples. Thanks to Ferrante I was shown inside the city, inside what links us all. This is a story about the dark places, and the fires, inside all of us. It’s not new, it’s as old as Naples, but it’s told with the energy of possibility and through the eyes of women. The Story of the Lost Child is the last book in a series of four – the Neapolitan novels. 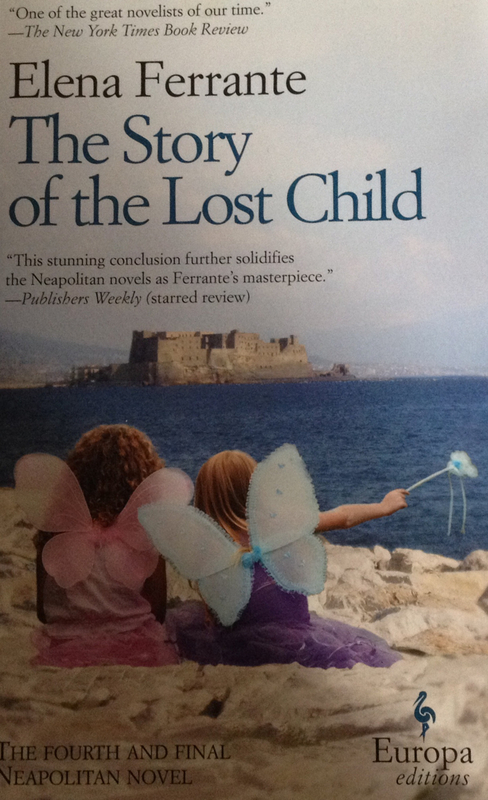 This entry was posted in Books, Books on Italy, Italy, Novels, Reviews and tagged Book Review, Elena Ferrante, Italy, Napoli, Neapolitan Novels, Nples, The Story of the Lost Child. Bookmark the permalink.